Newly rebuilt in Craftsman style in 2005/06 with many improvements since. 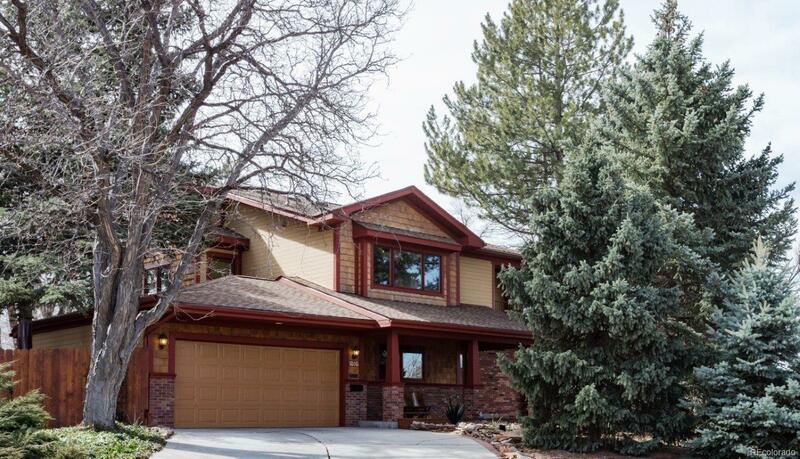 Two story looks over Sterne Park with mountain views, easy access to downtown Littleton, light rail, library and museum. Open floor plan encourages interaction on main and upper level. Two bedrooms on each level. First floor offers large utility room, suitable for artists or projects, with 2nd laundry on upper floor. Second floor features tree-top family room, 2 trex decks for enjoying sunsets and views, master suite with jetted tub and walk-in shower, fourth bedroom with steam shower bathroom. New raised paver patios and pergola, rain barrels, new roof, radiant floor heat and central AC. Many more special features! Donât miss this special home!